Which Sandals Resort is the Best Sandals Resort in Jamaica? Many couples request information on “Sandals Jamaica”for their honeymoon. We agree that Sandals is a great choice for those wanting the best couples only-resort experience on Jamaica. However, with 7 great Sandals resort options on Jamaica, each with their own distinct personality, choosing the best Sandals resort in Jamaica may seem difficult at first. 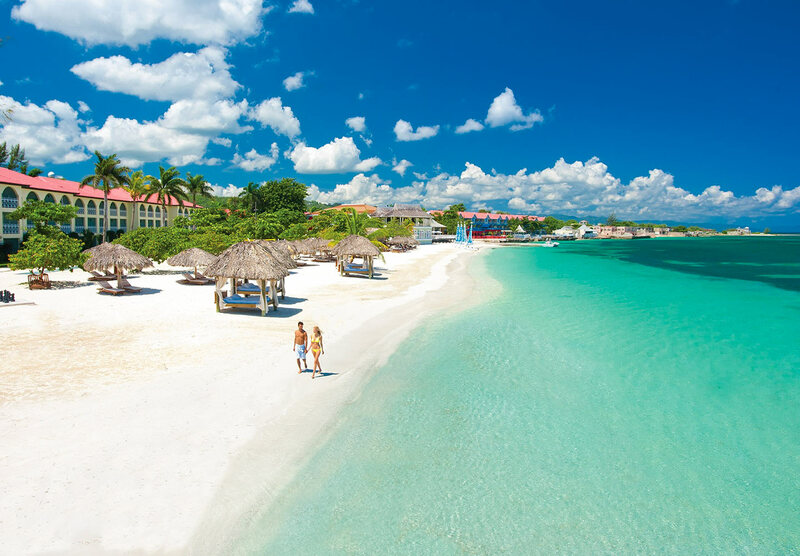 Sandals Montego Bay— Home of the famous Hip Strip known for it’s dining, shopping and partying. There are three Sandals in MoBay and staying at one means you get to play at all three. Sandals Montego Bay offers a private beach with a great party vibe. Sandals Montego Bay also just added amazing new swimout suites that are directly beach front that are richly appointed. Sandals Royal Caribbean offers British flair with high tea, an authentic pub and a laid back atmosphere. Massages on the private island here are a must and for couples wanting the ultimate in Caribbean luxury you can stay in either an overwater bungalow or an ultra luxurious overwater villa. Each villa has a theme (earth, metal, water, fire, wood) and are so well appointed it may be tempting to never leave the room. Sandals Inn is a boutique hotel across from a public beach, but is close to the Hip Strip and lets you enjoy the other Sandals in Montego Bay without breaking the bank. Ocho Rios—Only two hours from MoBay, with 2 resorts to choose from and home to zip lines, Jamaican bobsleds, golf (with free green fees for Sandals guests), and waterfalls you can climb. Sandals Royal Plantation is a zen-like all suite, all butler resort and a member of the Small Leading Hotels of the World. Enjoy a Grey Goose martini in the Wobbly Peacock before dinner and one-way exchange privileges with Sandals Grande Riviera next door. Sandals Ochi Beach is the largest (and most affordable) Sandals with accommodations stretching from the beachfront to the Jamaican hills. You can enjoy a mountainside swim-up pool bar or dance the night away beachside at Jamie’s Sports Bar. This resort also offers butler villas with a private villa pools. Grab 3 of your favorite couples and share a villa with stunning hilltop ocean views! Negril— What can we say, but ya ‘mon! Negril is 90 minutes from Montego Bay and the capital of casual. 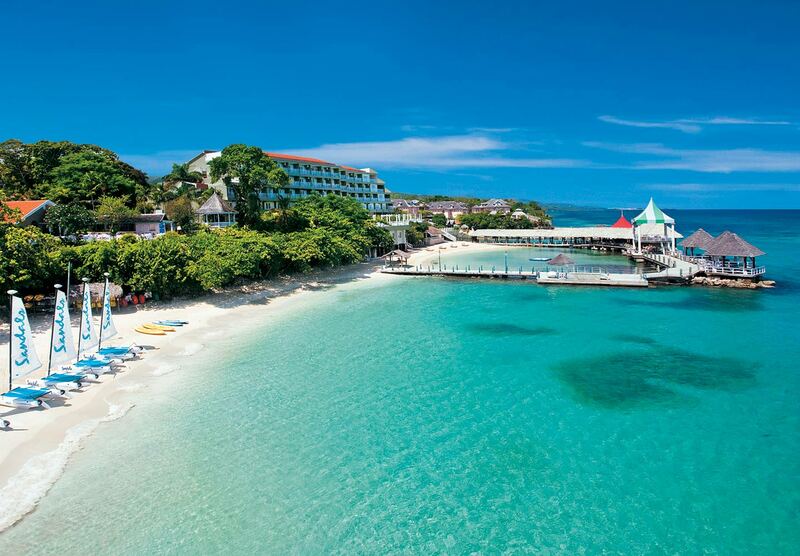 If you are a self proclaimed beach bum then you’ll love Sandals Negril on Seven Mile Beach. Home to some of the best sunsets in the world. If you want a really special experience then the Crystal Lagoon butler suites with swim-out pool access and spectacular beach views are the way to go at this resort. 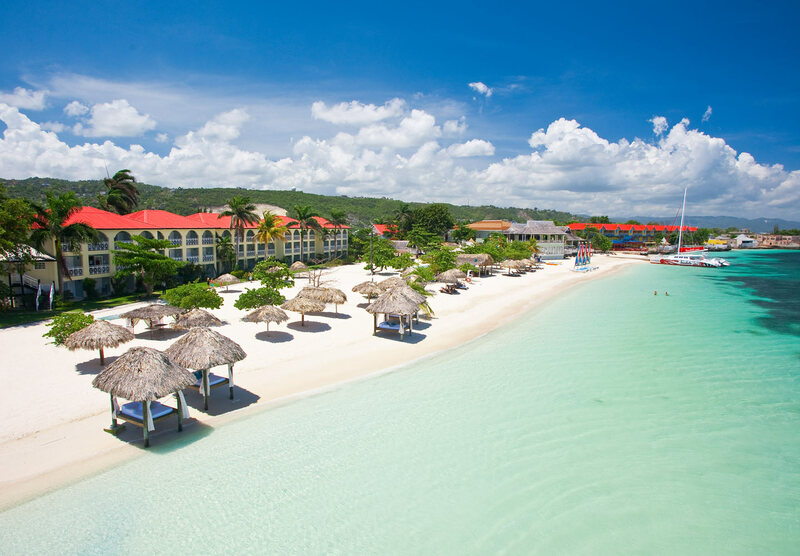 South Coast— For those who truly want to get away from it all there is Sandals South Coast, 90 minutes from Montego Bay, on Jamaica’s unspoiled South Coast. 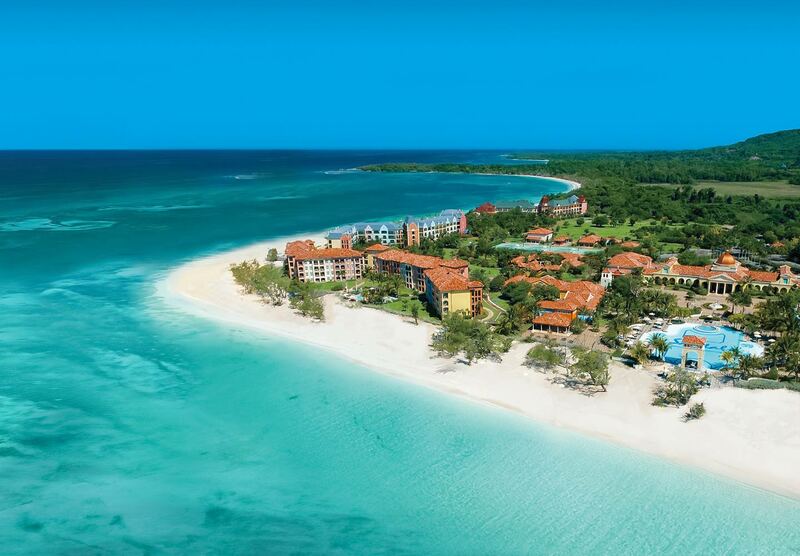 Sandals South Coast is located in a nature preserve and on a spectacular stretch of private beach. This resort truly is paradise found. All rooms here are beachfront and now Sandals South Coast has added overwater bungalows to their suite options, dining is amazing, you can even relax on a hammock at an overwater bar. 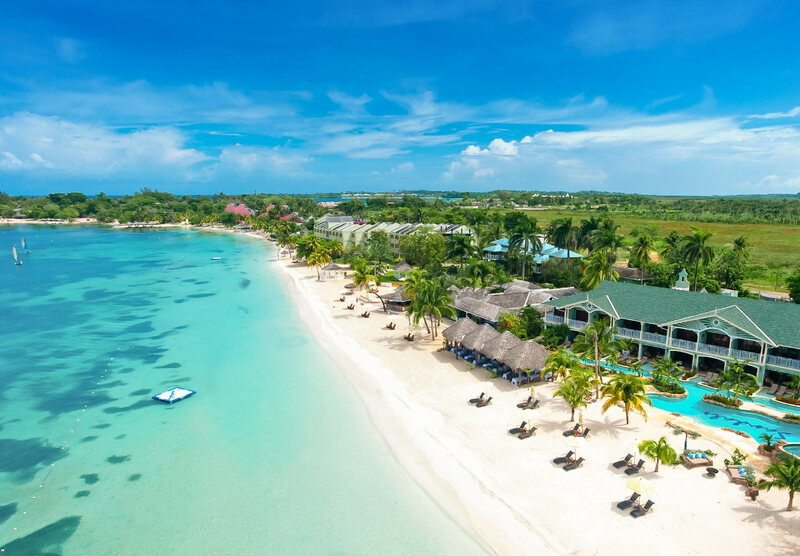 At Sandals South Coast you also have a ton of excursion options on and off property, but if you are too relaxed to leave the resort we totally understand…this one is definitely a favorite of ours. Are you beach people or is lounging around the pool with a beach nearby preferred? Remember that Sandals includes a lot so your budget goes farther than you think. Lots of activities on and off property? A pool and a drink? Partying beachside? Nightlife? A laid back experience? Towns to explore? What do you want to do on your trip? If you want help selecting the perfect resort or room category, arranging a split stay between two different Sandals Resorts, or if you have any questions regarding Sandals Resorts in the Caribbean feel free to call us or click the “Contact a Sandals Specialist” button to contact us! Photo credit to Sandals Resorts and Dreams and Destinations Travel. Some links contain affiliate information. This entry was posted in All-Inclusive Resorts, Honeymoons, Sandals Resorts. Bookmark the permalink.